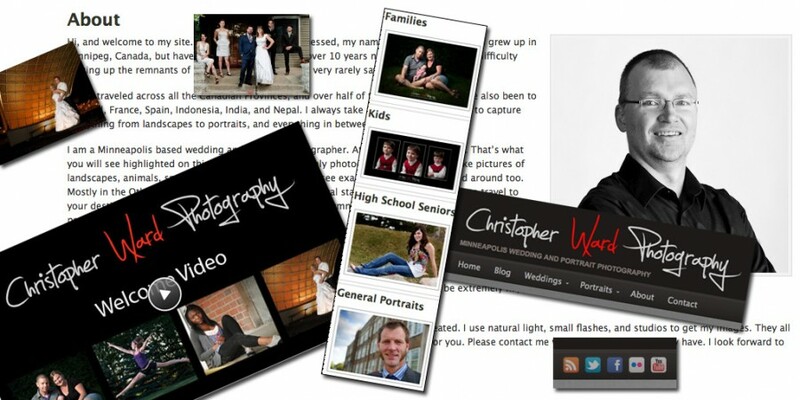 I am very happy to announce this update and complete overhaul to my site. There are lots of new images, new pricing, new products, and a new format that lets me get updates out easier. As well as images, I am bringing video into the site. With the addition of comments and a contact form, I am hoping that this will allow a better conversation between myself, other photographers, and potential and current clients. Both the Wedding and Portrait menu sections show recent posts from recent clients, and photographs that represent my work. At the top right, bottom left, and on each post there are buttons to connect to social media. Feel free to share. There is currently video on the home page, and more to come. Until then, see other video on my youtube channel. Thanks for coming by, I hope that you will return.